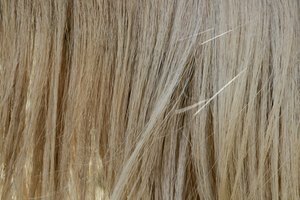 A natural side-effect of coloring your hair is the eventual appearance of unsightly roots. 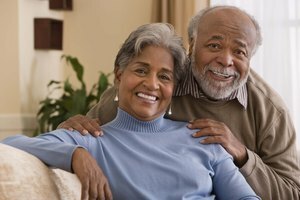 If you have grey hair and highlight it to cover up the greys, the problem can be particularly embarrassing, as a few grey strands can show your age and scuttle your attempt to cover it up. Yet a little careful grooming and a few tricks can keep you looking polished and youthful. Regular maintenance keeps you from sporting an embarrassing rainbow of colors on your head. 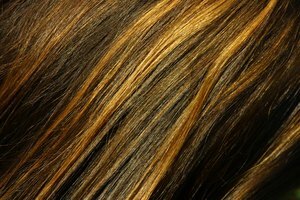 Schedule a salon visit every four to eight weeks, depending on your natural hair color and speed of growth. 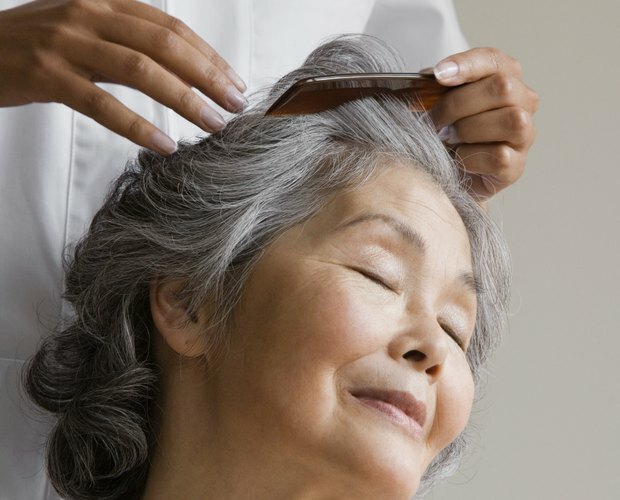 Regular salon trips are the most foolproof means for maintaining your grey roots, although they are also the most expensive and time-consuming option as well. Explain to your stylist that you want highlights to cover your grey roots. In many cases, just as will a full-head color, the stylist will be able to update just the roots of your highlights, instead of completely highlighting your hair again, saving you time and money. Have your stylist add new highlights to cover any new greys you may have discovered since your last visit. 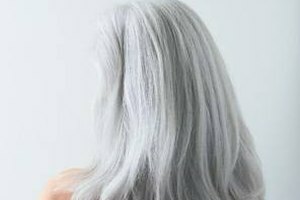 Highlight your grey hair with dye one shade lighter than your natural color, according to the recommendation of expert stylist Christophe Robin. Apply color to just the greys, and comb through the top layer with a medium-tooth comb. Cover the grey with a different color to accentuate the highlights. Grey can be easily covered with blonde, caramel or chestnut highlights -- or more flamboyantly with a red or strawberry blonde tone. Use a fine-tooth comb to update just the roots of your highlights if you have a steady hand. Apply the dye to the brush, and carefully select the highlighted portions. Comb the dye through the section you want to color, beginning at the base of the hair. Minimize your grey roots using other beauty products for a quick fix when you need to look polished but don't have time to do a full root update. A mascara brush in brown or black will color grey roots in dark hair. For lighter hair, like red or blonde, turn to brow gels. Brow gels often come in blonde and strawberry shades that will effectively cover your grey roots and blend beautifully with your highlights.